Ultimate Calendar is a free calendar for Windows with notes, holidays, export option, customize display schemes and lot more. Check out this free calendar. 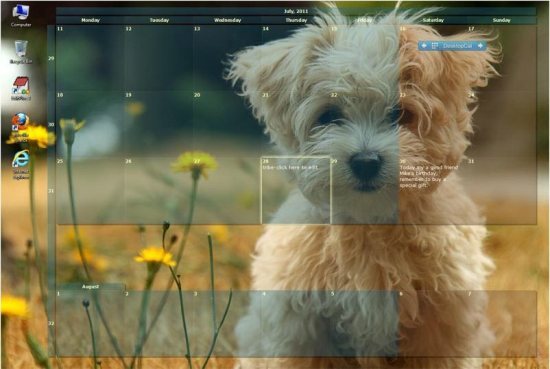 Desktop Calendar is a free calendar app which can be placed on your windows desktop. It will help you manage appointments, to-do lists, schedules, and more. VueMinder Calendar Lite is a free desktop calendar to create and track events, get desktop reminders, copy Google calendar events. Download VueMinder Calendar free. 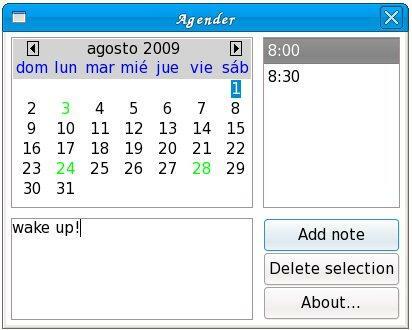 Agender is a simple to use scheduler and calendar software.You just select the date from calendar, and then add a note corresponding to it. Free Organizer for Students lets student organize school and non school activities, like, calendar, upcoming lessons, day organizer, tasks, marks, notes, time table, and more. 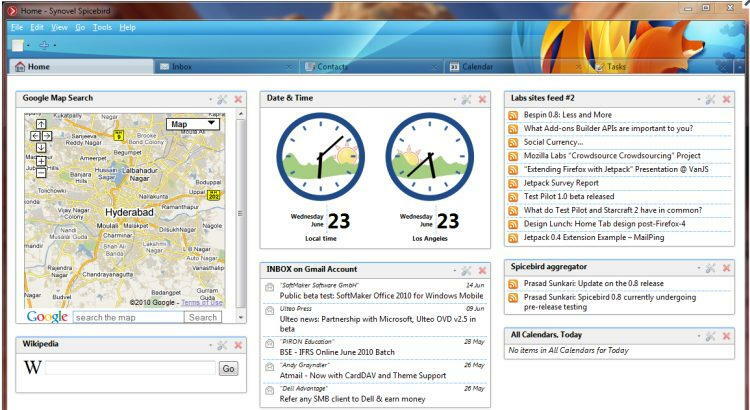 Spicebird is a combination of Thunderbird, Sunbird, and instant messaging client. It is a free personal information manager. Download Spicebird free. UK’s Kalendar is an easy to use free calendar software. You can set reminders, and manage to do list. Download UK’s Kalendar Free. 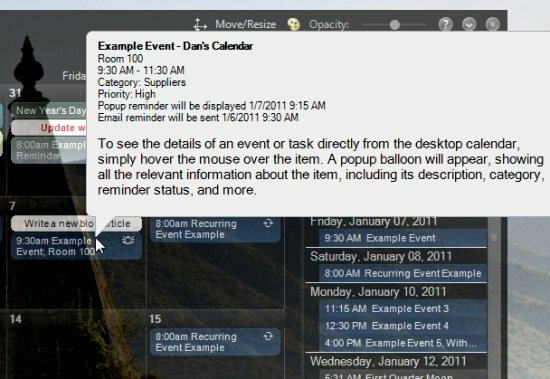 Codetwo NetCalendars is a group calendar tool which allows multiple employees to work jointly on a calendar from different computers. Mozilla Sunbird is a free stand alone calendar application. It works on all systems, including Windows, Mac, Linux, and SPARC. Download Free.